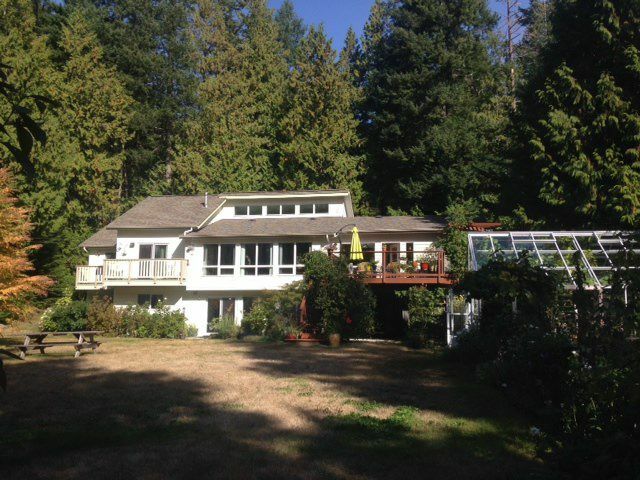 Private Roberts Creek setting, West Coast 3-4 bedroom contemporary on .7 acre is a pleasure to see! Beautifully updated kitchen w quartz countertops, huge island, open to sunken living rm, vaulted ceilings, skylight, bi gas fireplace. Family room/study, leads to big deck; overlooking picturesque gardens and huge greenhouse. Lower level w games room w f/s gas fireplace, bedrooms & media room. Excellent floor plan for suite potential. New roof with warranty, auto-drip system for gardens. Many fruit and berry trees. Short walk to beautiful beaches!